Every broken LCD looks a little bit different. 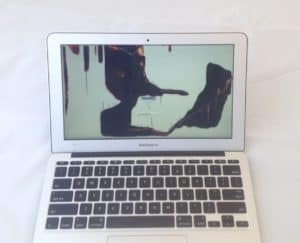 This A1370 model MacBook Air has a cracked screen that is covered in red and black splotches on part of the screen. It almost looks like lava flowing across the display. 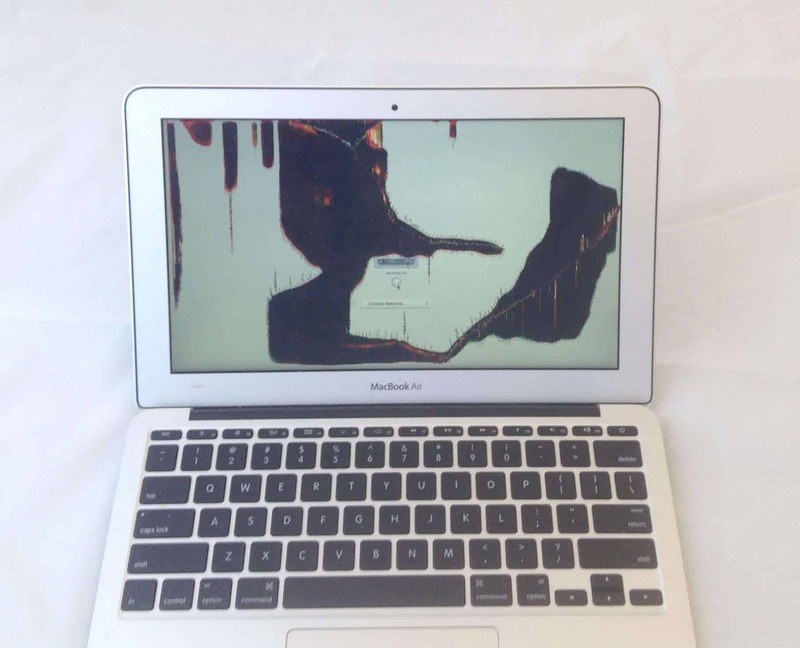 Black regions and strange colors are common symptoms of a cracked LCD. We replaced the damaged part and were able to fix the laptop in less than a day.